SellMore has a powerful product configurator on iPad that you can use to dynamically generate the correct order line configuration. SellMore integrates a powerful product configurator for iPad. Through this functionality, the user can sell not only defined products but also products generated ad hoc for their own customers according to specific rules set by the company. SellMore can correctly configure a vehicle by choosing the model, optional extras, parts exchange and customized discounts. The configurator allows dealers to choose the model and then define the trim, with add or remove options. The offer can be completed with the evaluation and return policy and then finally sent by email to the potential customer. During the configuration process dealers can check the price calculation in real time and also grant a special discount or an overvaluation of used vehicles. Same Deutz-Fahr has chosen SellMore for more than 3000 users around the world! 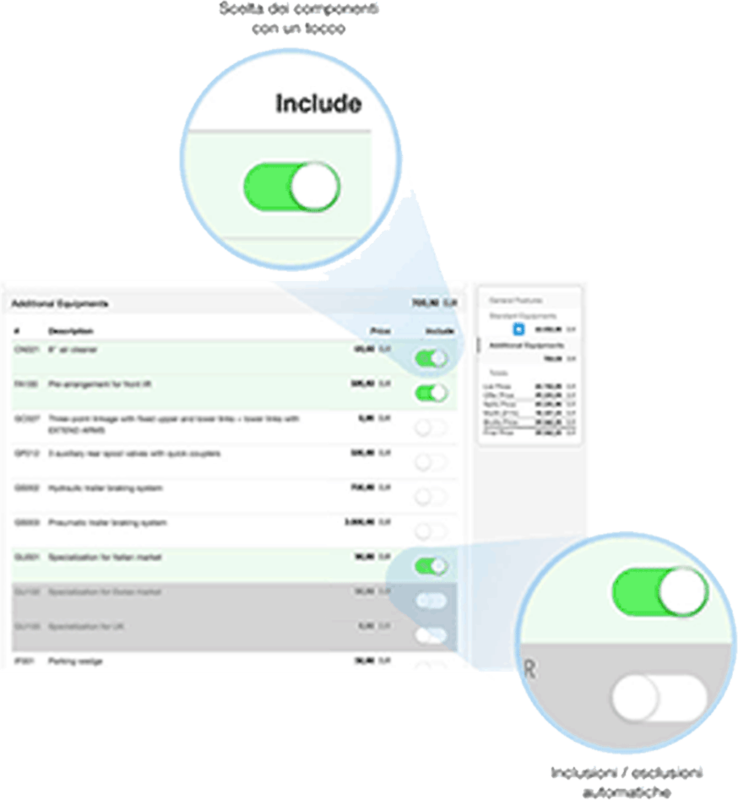 SellMore allows the user to configure a purchase with the size/color grid and to create customized outfits (by choosing the waistcoat, shirt, jacket type, type of pants, etc..). The system also manages complex configurations and assortments, meaning it can also be used to sell footwear. SellMore allows configuration for furniture, e.g. a sofa, a bed or chair. The user can easily customize the furniture according to customer needs. SellMore allows configuration for the selection of boilers, conditioners and systems in general. The user is guided in the configuration by typing the parameters of the area where the system has to be installed. SellMore allows the user to create Christmas baskets, gift packs and general product kits. Taking into account the diversity of the sectors served, SellMore user interface changes according to the user and can be customized to manage the particular needs of the individual company. In case of a new configuration, the SellMore engine generates, starting from the configuration information of the product, a user interface which allows the user to manage the possible options. The user will be able to choose what has to be included (equipment, accessories, by-products) and to define the quantity; the system will make a validity and congruity check in real-time and will exclude/include all that is incompatible /mandatory according to the user choices. For example, a certain option can replace a standard component (in a table configuration, the glass top option will replace the standard wooden top), or it may require another component (an extendable table requires the aluminum railing system on which the top of the table slides). The system always suggests a valid configuration with the related price and the user can set up the product in the deal in a few easy steps. The system also offers the possibility to define pre-configurations (wooden table, glass table, lacquered table) in order to speed up the process. When you add a configured product to a document (offer, order, etc.) you are producing a bill of materials that includes the standard basic product and the list of the additional components and related quantities. This information will be automatically transferred to the headquarters and detailed in a document, which will have as many lines as the number of components. Alternatively, the system can quickly generate a BOM and in this way it will create a configured product in the ERP too. If you have to edit an existing configuration, the system will compare the configuration information of the product with the BOM generated previously. During this phase, some inconsistencies may arise, which will then be reported to the user. For example: the configuration of a table made several days ago is no longer valid because the glass top is out of production. In this case, the system warns the user by showing what is no longer valid in the current configuration it obliges the user to make the appropriate modification to solve the problem. 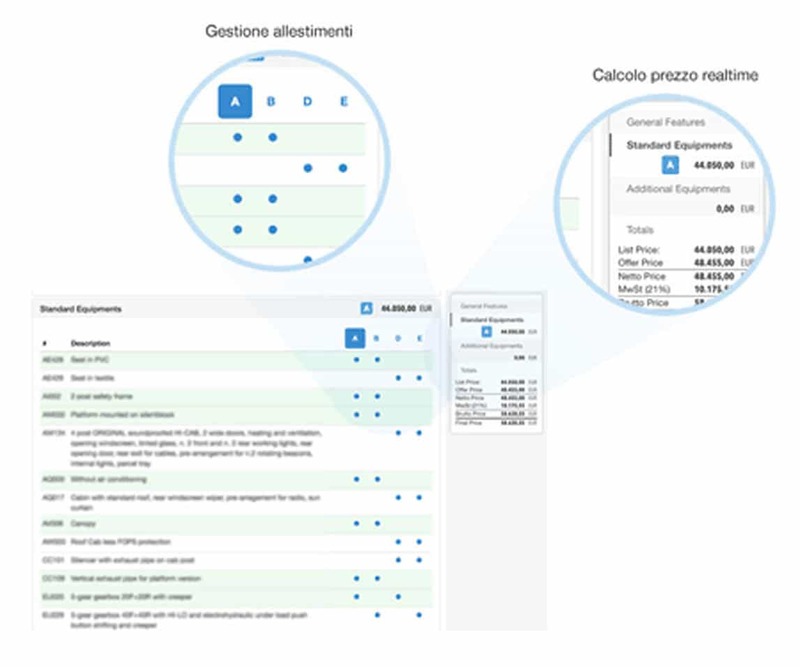 The configurator allows to user to customize the user interface according to the product, meaning that in the same App there could be automotive/machinery configurators, furniture configurators, size-color grid etc… SellMore generates and modifies the bill of materials of components, starting from configuration logics, and transfers them to the company ERP system. 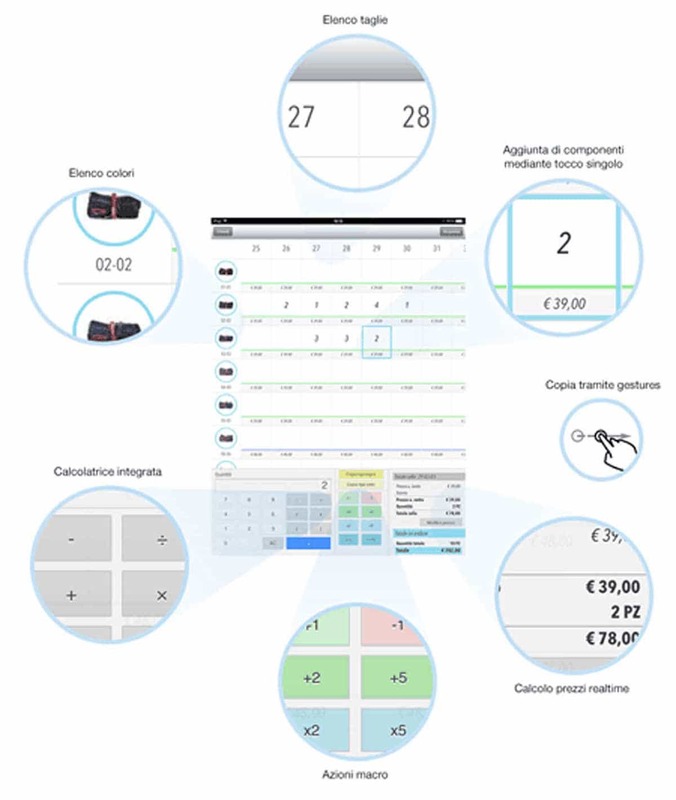 With the new SellMore Web edition it is possible to manage the sales order directly from your desktop, also equipped with a web configurator (size/color grid, automotive configurator, and so on). The user can view catalogues, do filtered researches, compare products, download technical files, create an order and see the shopping cart. The user can also consult all documents created, filtering them by “opening” or “rejecting” , and so on. From the shopping cart, it is possible to modify or remove products, to choose shipping date, means of transport and any other information requested by the company. All fields can be customized.